Specially formulated for folk art techniques. MM12 Clear Sealer can be used on raw wood if you are not using a Matisse Background Colour (which has a built-in sealer) and want to paint a design on the raw wood leaving the natural grain revealed. It can also be used on glass, ceramics, terracotta pots and new metal. All surfaces should be clean and dust-free before MM12 Clear Sealer application. For porous surfaces such as wood, terracotta pots, unfired ceramics, etc. 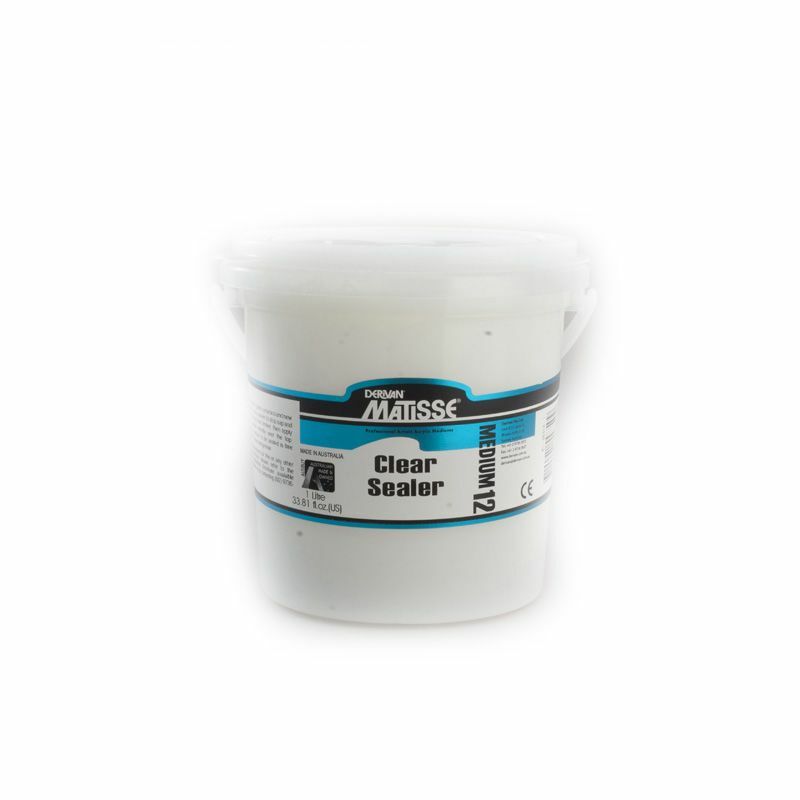 apply diluted with up to 1 part water to 2 parts MM12 Clear Sealer. You can also stain and seal wood at the same time. For a great effect, add a small amount of Matisse Flow artists acrylic in the desired colour and apply evenly, finishing one surface at a time. Water-resistant, quick drying and flexible.